The following is a list of all entries from the Easily Amused category. Normally this time of year, starting about a month before Hannuka, the bakeries place their finest, sweetest and most oily sufganiyot in the window display so that passers-by have no choice but to indulge in the million calorie treat…several times. However, this Hannuka there is a new market on the oily goodness, in the form of real American doughnuts. It seems that the already successful Jerusalem based Aldo ice cream shop on Emek Refaim is now cornering in on the doughnut world. With a huge sign at the front door, the store invites people to their new display of doughnuts, which happens to look exactly like Dunkin Donuts. In fact the company behind this year’s Hannuka miracle is Mr. Donuts, which have already been selling doughnuts in their Alonit stores. The doughnuts come in all different flavors, sugar coated, chocolate with sprinkles, strawberry, and banana (really not a fan). A single doughnut is NIS 6, but Aldo is currently running a deal, six doughnuts for NIS 30 (that’s almost a doughnut for each day of Hannuka, if you can really pace yourself). I’ve already bought a box full and I won’t tell you how many are left as I write this post! The man behind the doughnut vision is Zohar Norman, owner and CEO of Cocoa Mr. Donuts. The business guru has been back in Israel for 3 years after conquering the hummus market in America with Sabra Salads. His bakery in Yavne is behind the real doughnuts, using an American style recipe which fries the doughnuts at much higher speeds and best of all are only 180-240 calories a doughnut (another Hannuka miracle). 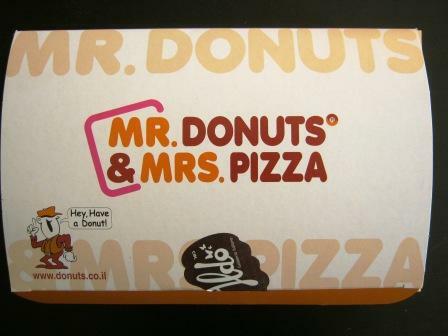 If all goes well, Norman plans to also import American style pizza and muffins, OMG! And in an exclusive report to The Big Felafel, a source at Holy Bagel has revealed that they are also going to begin selling doughnuts in their Jerusalem stores. I can already smell the doughnut sale wars! Now, we just have to get Norman to buy into Mexican food. How about some burritos and tacos in time for Purim? A Green Light for ‘Ramzor’- A Must Watch Sitcom and Ulpan! With Srugim winding down its super depressing season (writers, what the hell happened, not only do I feel sick when I watch the show, I don’t want to be friends with any of them, being religious looks like the worse life decision anyone could make- marriage seems like a death trap- and still not a single Anglo character), I have found a new show to love and one that makes me laugh. Ramzor (Traffic Light), an Israeli sitcom, focuses around three 30-something male characters living in Giv’atayim (near Tel Aviv). While I enjoy the characters, a family man, the ‘living-together’ guy and the bachelor who is a bachelor all the way, it turns out that according to Wikipedia each relationship represents a color of the traffic light, hence the sitcom’s name. 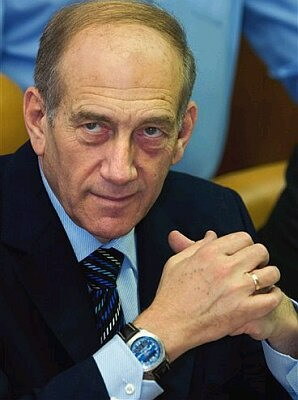 The family man, Itzko, is the red light since he is married with a seven-year-old daughter. Amir, the ‘live-together’ guy is the yellow light because he lives with his girlfriend, and of course that leaves the bachelor, Hefer to be the green light because he has no partner and is free to go. However you put it, the show is damn funny and a great ulpan tool for those of us that want to embrace Israeli culture and slang. The shows are a smart funny and very similar to the current hit in America, ‘Modern Family’. The stories revolve around humorous concepts like an old woman taking over a swimming lane, the friend that only calls you when he walks his dog, getting a housekeeper who ends up making you work for your money and a dog therapist. The characters are all kooky. I personally enjoy Amir (that’s the live-together guy) the most, who is a private show choreographer. Basically he goes to companies and teaches their workers a dance which is themed around their type of work. He deals with the strangest people and yet loves his job and makes the musical numbers work! He alone is worth watching for a half-hour. There is also Itzko’s wife, Lilach, who oddly enough is also the wife on Srugim, yet plays a completely different character on this show. Here she is a self-absorbed journalist who always has the phone by her ear and is ready for her Pulitzer. Her relationship, if you want to call it that, with her husband is more like a great bickering match and makes for good TV. Hefer gives the show its dirtier moments and thus the sitcom has a little something for everyone. Actor Adir Miller, who plays Amir the ‘live-together’ guy is also the show’s creator and can now add businessman to that list since selling the show to Fox in America. The US version will be written by Bob Fisher who was the executive story editor for “Married with Children.” The series is set to start this Fall. Thanks to @davidzstein for alerting me to the most important news of the century! In honor of the annual New York ‘Salute to Israel Parade’ on Sunday May 23, an Israeli chef cooked a 30 lb (13.5 kg) falafel ball, setting a world record. Former Manhattan District Attorney Robert Morgenthau and an engineer certified the ball of chickpeas and spices for the Guinness Book of World Records. The ball was cooked in over 40 l. of water, and has a circumference of over a meter. It seemed only appropriate that we report on a giant felafel here on The Big Felafel. 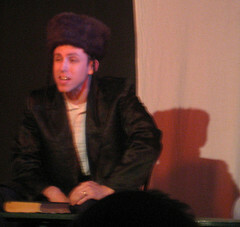 Happy Purim 2010! Special Jerusalem Festivities! It’s time to put on your gigantic over-sized sunglasses, afro wig, fairy wings, cape or whatever it is that you’re planning for this Purim and start searching for the perfect place to hang out this Purim of 2010! My friend asked me to share a special Purim event this year in Jerusalem. For a full guide to Purim 2010 in Jerusalem, check out The Jerusalem Blueprint. 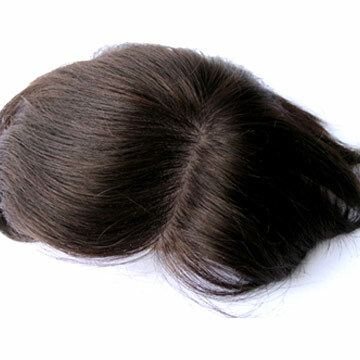 Purim is a time to flip things around, so do something a bit different this Year! Cafe Alexander is hosting a Megilla reading followed by a Purim party featuring the vivacious, soulful rock of Optimystical. Get all your Purim drinking, partying, grooving and costuming done with a classy ambiance. There’s a bar, delicious food and indoor/outdoor seating. And if you think you have the most creative costume this year, Cafe Alexander will give you a 75 shekel credit at the cafe if they think you’re right. Cafe Alexander is located at 3 Yanai St. Jerusalem which is up the block from Mamila Mall and Hotel. Its on the corner of Yanai and King Shlomo Street which is the continuation of King David Street. To get you in the mood, here is Hahafuch’s hilarious Purim video!! HaHaפuch Comedy Show- Just the Beginning!! 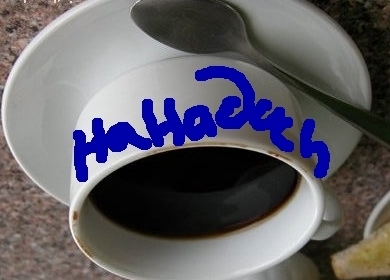 Well, the HaHaפuch Comedy troupe had our first show and we are already looking forward to the next one in March. The show, a mix of improv, sketches, videos, musical guest and immigrant innovation spotlight interview, finally got to share with the world, or at least the people in the audience how funny we find Israel to be. From our sketches on the new creation of Hummus in a Bag and the Stacy Spin-off Show (via Srugim) to a Q&A with the Rabbanout and our satirical news segment, we have only just begun our humor attack on Israeli life. Check out some of our videos from the show and let us know if you have any ideas for Israeli sketches. We want to hear from you about daily life experiences from job interviews to bureaucratic fights, to delicious food and bad dates. We plan to perform once a month at The Merkaz Hamagshimim Theater still at the same location in the German Colony. Every month will be a whole new show of improv, sketches, musical guest and more. Do you ever stand in line for the post office or bank or ministry of interior or just the bus and feel so stressed out that no one around you seems to know where the line begins and ends? And you want to scream, but instead you just elbow everyone because you’ve learned that’s how you get around in this country, or at least in these so-called lines? Then you get to the end of the line and rather than feeling relieved you feel overcome with emotion and want to cry or scream? Then later when you tell your friend the story, you are both laughing about it, because it is so ridiculous and your friend can tell you the same story? 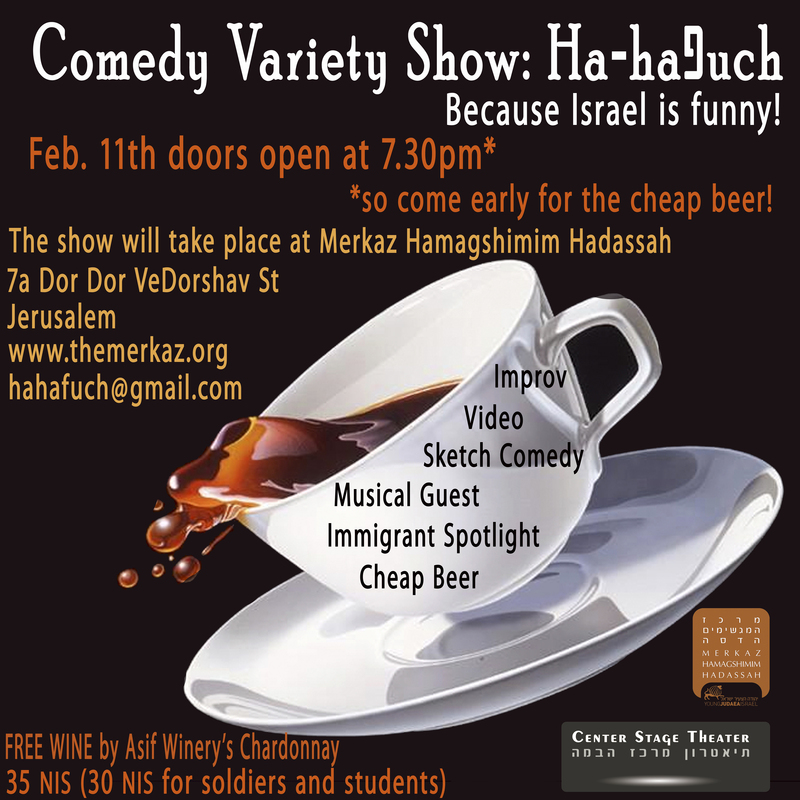 Well, if you follow any of that, and agree, then you need to come to the HaHaפuch Comedy show on Thursday February 11th. 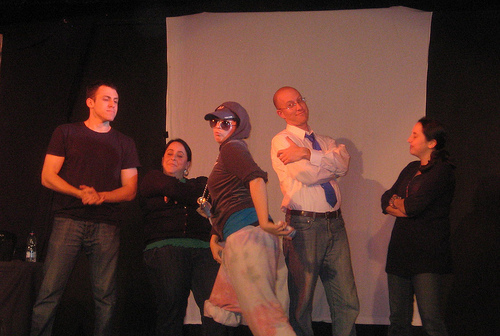 The comedy show is a variety of improv, sketches and videos that aims at making fun of life here in Israel. We will also have a special musical guest, a cappella group Kolture Shock and even a special segment called Spotlight on Immigrant Innovation, which will feature a new immigrant who is doing something great here in Israel. For our first show we are featuring immigrant Jonathan Miller co-owner of Asif Winery in Arad. 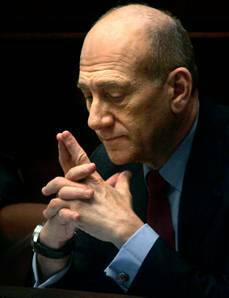 Did I mention he only made Aliyah in 2006? Awesome! Miller will do a free wine tasting before the show and will sell his delicious award-winning wine. The show starts at 8pm but doors open at 7:30pm and that is when the wine tasting will take place so I strongly suggest you come and get it! There will also be cheap beer to add to the fun. 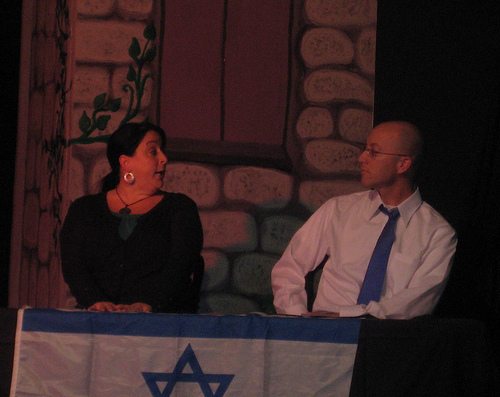 We plan to perform once a month at our current venue at the Merkaz Hamgshimim Theater in the German Colony. Check out the cool flier they made for us! And to learn more check out our Facebook page. Oh, and here is a clip for all you Srugim lovers, Stacy wants you to come to our show too! Remember, Israel is funny. And if you don’t think so then you haven’t seen our show.